Does your home need a new roof or new roofing shingles? Call Crown Builders for professional & affordable roofing services in Charlotte, NC! The roofing experts at Crown Builders always install roofs and shingles according to manufacturers’ specifications. Our professional roofing services work with any style or size of shingles or other roofing materials, including new flashing, wood roofing replacement, and much more. Architectural Shingles – Want to give your home a unique and striking appearance? Consider replacing that old, worn-out roof and adding architectural shingles. Especially perfect for steep roof patterns, architectural shingles are beautifully textured and can imitate the look of cedar shakes or slate without the added support those materials require. Also called composite, laminate, or dimensional shingles, architectural shingles are made from asphalt, but are much more durable and long-lasting than typical asphalt shingles. They are also algae-resistant (no more ugly black streaks! ), fire retardant, and have a high wind tolerance. Accent Copper Roofing – While it can carry a higher initial price tag, nothing else compares in elegance to copper accent roofing. It is also lightweight, durable, versatile, and will last for a very long time. It is also recyclable and environmentally friendly. Copper roofing can be noisy if it is installed incorrectly, so make sure you hire the pros at Crown Builders to take care of that tough job for you. Flat Rubber Roofing – Rubber roofing provides excellent protection from the elements at an affordable price. It is also very energy-efficient and can save you a bundle on those power bills. Ridge Vents – A well-ventilated attic is crucial to your roof’s longevity and the protection of your household. Ridge vents are installed at the peaks of sloped roofs, allowing warm air to escape from the attic. Without ridge vents, the heat underneath the roof could build up during those hot summer months and lead to cracking and deterioration of your roof materials. 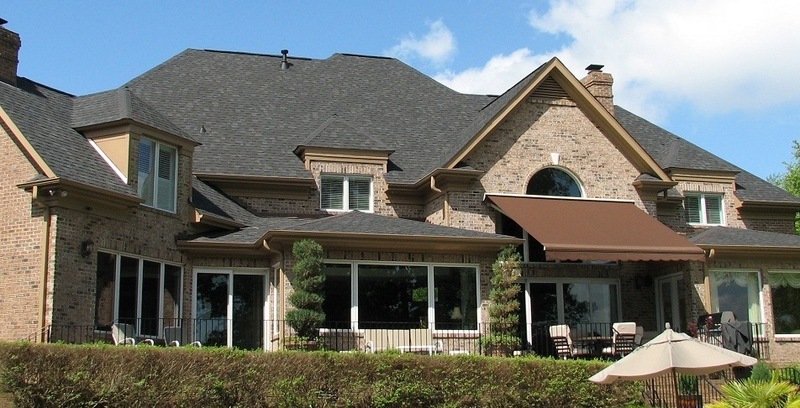 When you select Crown Builders as your roofing company, you can rest assured that you are getting only the best in materials and workmanship with all the roofing services we offer in Charlotte, NC. Our roofing services pay special attention to cleanup and removal of all old shingles, so you won’t be left behind with a mess. And best yet, we offer a 10-year workmanship guarantee on all new roofing systems! Give us a call today to learn more about our high-quality roofing services. For all your roofing needs please contact Crown Builders in the surrounding areas of Charlotte, Huntersville, Concord, Gastonia and Mooresville, NC.